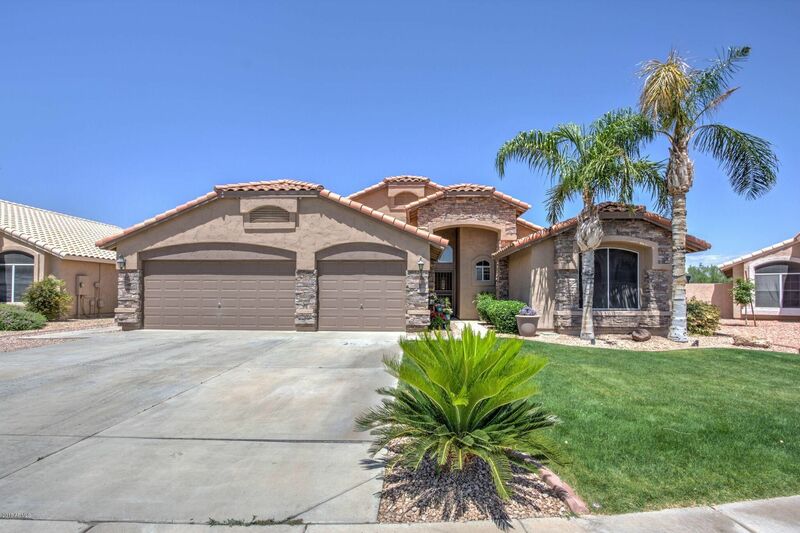 This beautiful 3 bedroom 2 bath home with an office is located in Peoria just minutes from the Loop 101 freeway. this home features beautiful tile, open breakfast bar, fireplace, large living room as well as family room,ceiling fans throughout and nice Stone/granite countertops to help round off just some of the great features of the spacious home. front and back yards are beautifully landscaped with a built-in outdoor barbecue and fire pit as well as a large covered patio. home also features a three-car garage and a RV gate.